The ACCC is also alleging that former MG Managing Director, Gary Helou, and former Chief Financial officer, Bradley Hingle, were knowingly concerned in MG’s conduct. “The allegations relate to representations made by Murray Goulburn to its Southern Milk Region dairy farmers between June 2015 and April 2016 about the average farmgate milk price (FMP) it expected to pay them during financial year 2015/16 (FY16),” ACCC Chairman Rod Sims said. “The ACCC alleges that Murray Goulburn’s conduct had an adverse impact on many farmers who, as a result of Murray Goulburn’s representations regarding the farmgate milk price, had made business decisions,” Sims said. “The farmers relied on Murray Goulburn’s representations and were not expecting a substantial reduction in the farmgate milk price, particularly so close to the end of the season when it was not possible for them to practically readjust their expenditure,” Sims stated. The ACCC alleges that from June 2015 until February 2016, MG misled farmers by representing that it had a reasonable basis for setting and maintaining an opening FMP of $5.60 per kilogram of milk solids (kgms) and a forecast Final FMP of $6.05/kgms, and that it considered the forecast Final FMP of $6.05/kgms was the most likely outcome for FY16, when that was not in fact the case. The ACCC further alleges that from February 2016 until April 2016, MG misled farmers by representing it had a reasonable basis for expecting to be able to maintain its opening FMP of $5.60/kgms for the remainder of the season, and that it considered a Final FMP of $5.60/kgms was the most likely outcome for FY16, when that was not in fact the case. Provided and maintained FMP forecasts despite knowing that these forecasts were overstated and unachievable in FY16 and that farmers were making decisions in reliance on these forecasts. “Many farmers are in a relatively vulnerable trading position, and rely on transparent pricing information in order to budget effectively and make informed business decisions. In these circumstances, farmers were entitled to expect Murray Goulburn to have a reasonable basis for determining its pricing, and to regularly update farmers if there was any change in forecast prices,” Sims said. The ACCC is seeking orders against MG that include declarations, compliance program orders, corrective notices and costs. The ACCC has decided not to seek a pecuniary penalty against MG because, as a co-operative, any penalty imposed could directly impact on the affected farmers. The ACCC is however seeking declarations, pecuniary penalties, disqualification orders and costs against Helou and Hingle. 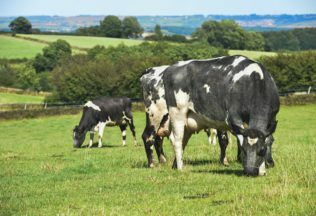 The ACCC said after careful consideration it has decided not to take any further action against Fonterra Australia Pty Ltd in relation to the step-down of its FMP, announced one week after Murray Goulburn’s revised Final FMP in April 2016. “A major consideration for the ACCC in deciding not to take action was that Fonterra was more transparent about the risks and potential for a reduction in the farmgate milk price from quite early in the season,” Sims said. In response to the ACCC’s actions, Muray Goulburn released a statement to the Australian Securities Exchange (ASX) saying it acknowledges the proceedings. “MG is considering the proceedings, however notes that ACCC has decided not to seek a pecuniary penalty against MG,” MG said.